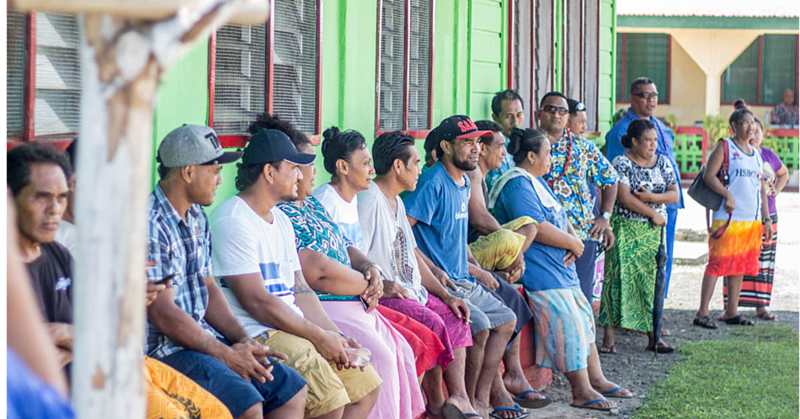 No matter the different places people visit, if you’ve been to Samoa, you will always find yourself returning to the heart of the Pacific Islands. For Victoria Humphries-Irwin and Wayne Irwin of Bay of Plenty, New Zealand, this is their third trip to our shores. Wayne was born and bred in New Zealand, but lived in Australia for 35 years and Victoria is from the land down under. They’ve lived in Australia most of their lives because Wayne worked at the mining industry and it’s just been two years since their return to the land of the long white cloud. 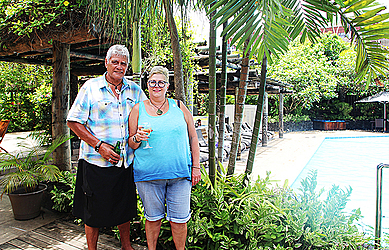 The Dear Tourist team met the couple at the Tanoa Tusitala Hotel enjoying the sunshine, with Victoria sipping on a glass of wine and Wayne a bottle of Vailima. The first time they came was in 2010 and in March last year where they did a lot of sightseeing, but this time, the couple plan to enjoy a short relaxing holiday. “We arrived on Wednesday, two weeks ago. I love Samoa; we always stay at the Sinalei Resort,” Victoria said. “Years ago I was in Suva and I found the Fijians pretty friendly too and only because I was a Kiwi and they love the All Blacks, sort of. I am a rugby fan, All Black rugby,” Wayne added. It turns out that Wayne is a big time Manu Samoa and All Black rugby fan, especially 7s rugby. “No, I’ve never been part of All Black rugby,” Wayne said. “I wish, we’d have money,” Victoria said with laughter. They’ve been married for 35 years and we just couldn’t resist asking the secret to their happy marriage. “He worked away a lot,” Victoria laughed. “In Australia, I worked in the mine, in the construction and I travel inter-state, and I would be away for a month at a time, probably why the marriage lasted,” Wayne added with a grin. We learned that Wayne also has connections to our island nation. 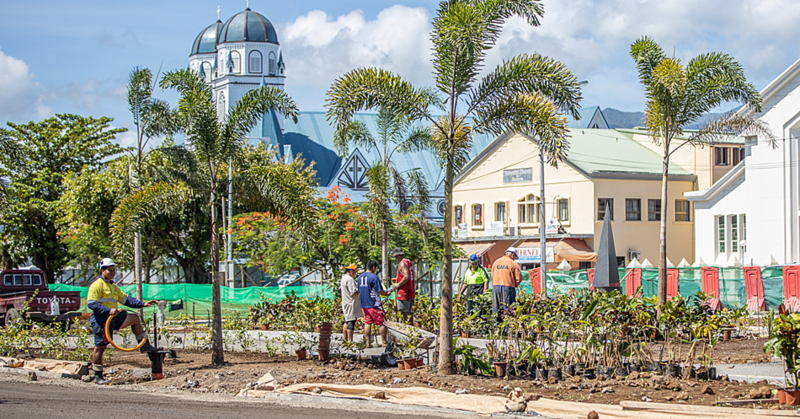 “My great grandparents came here from Ireland, they established a family here, my grandmother was born in Savai’i and my mum was born here in Apia, that’s when they moved to New Zealand and I came into the picture,” Wayne said. And they’ve planned their next trip to Samoa. “We just want to find out a bit more about his family; we just know what we have found so far, so we’re just tracing some stuff at the same time, so our next trip will be a bit longer,” Victoria said. It was also a special trip for the couple because Wayne celebrated his 71st birthday on this trip. One look at the couple and you wouldn’t believe their age. “That’s a secret I don’t tell anybody, no one knows my age,” Wayne said. “I only just retired at 70, last year from the mining industry. “He needs to go back to work, he can’t cope and I can’t cope, that’s the secret right. He needs to work because we need money to take me to more trips,” Victoria, 60, added. The couple also shared what captivated them the most. “The water is good, colour of the water, how clean, and I like the weather,” Victoria said. “We didn’t do a lot of sightseeing this time, last time we did, we went to Savai’i, we went swimming with the turtles,” Wayne said. “Well I had too; he just sat there and watched,” Victoria laughed. They both agreed that Samoa has beautiful white sandy beaches. Wayne is also a local food lover. “I love the local food, oka,” he said. “I’m not a fish lover; I don’t really have a particular favourite Fijian food. I love the pork, too bad that poor little thing had to die. We had a barbeque night one night that was really good,” Victoria said. The Samoan culture has somehow also captivated the hearts of the Kiwi couple. 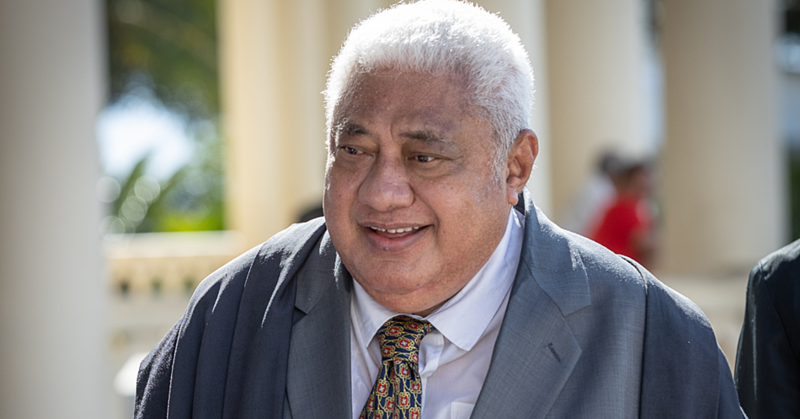 “Samoans are more respectful, in general young Maori are pretty disrespectful in some areas, but the Samoans, I think a lot of it is their village background, I think it’s the same as the Fijians, their village background helps them to be more respectful. And then we had the fiafia night here, I’ve seen the Fijians do it, I’ve seen the Tongans do it, it’s just brilliant. I’ve been to Fiji, many years ago,” Wayne said. “Before the 35 years of marriage,” Victoria laughed. “I plan to take Tori to Fiji,” Wayne added. “Yes, I’d like to go and see what Fiji’s like,” she added. Like any other tourist, they prefer Samoa’s natural scenery. “Tourism in Samoa probably needs more marketing, but then when we think about it, it’ll probably spoil it, it’ll get too busy,” Wayne said. When you think of it, it’s no doubt the couple described Samoa as the place of perfect happiness.